Nothing fancy here. 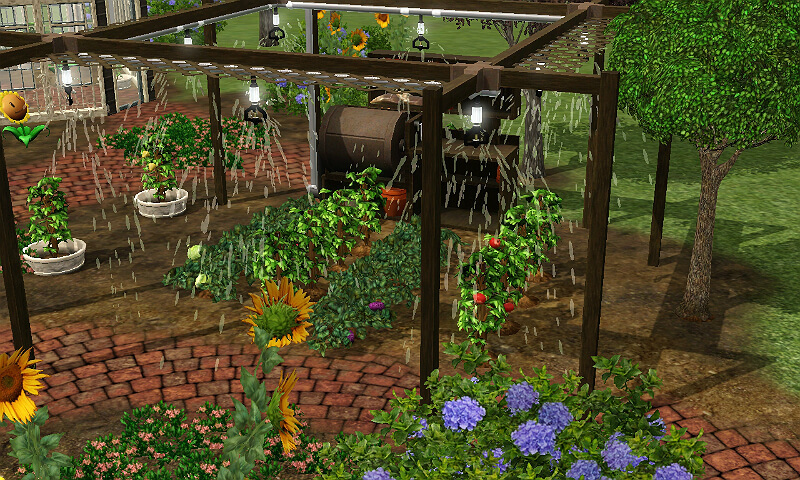 Just a look at how to master the Gardening career path and earn a few Simoleons in the process. I’m assuming that you have Ambitions installed. Otherwise Gardening will be little more than a hobby or sideline to your main career. In my current game, I have a couple of Money Trees and am noticing that the money bags from those ARE counting toward my promotions in the Gardener career (contrary to the Rare and Special section below). This was not happening in earlier games, so either I was experiencing a glitch at the time I wrote this guide or am experiencing one now. In either case, there isn’t any good reason to not grow them once you are able to. On the topic of finding the seeds, my current Sim is a Witch (Supernatural). One of the routines that I used to build her Spellcasting skill was to have her cast Conjure Apple and then repeatedly use the Transformation Ritual (a very low-level spell; available at Skill Level 1 or 2) on it. The spell changes the apple into random collectibles (seeds, insects, gems, minerals). For some reason, I saved all of the Special Seeds and had her plant them when she achieved the appropriate skill level in Gardening. I ended up with Money Trees, Death Flowers, Plasma Fruits, and Life Fruits when all was said and done. I also noticed that once she had raised the plants to Mature, the seeds she produced had a quality indication rather than “Unknown Special Seed”. This is very much like the random spawners in the game world. Once you have produced a Flame Fruit, for example, the seed is no longer Unknown, but a Flame Fruit Seed with a Horrifying, Bad, Normal, Nice, etc. Quality to it. A note that I’ve been meaning to include but hadn’t because I’d already reached the character limit for that section is that a Fairy (Supernatural) using the “Bloom” power can take a plant from seed to Harvest within a matter of minutes. None of the growth stages get skipped, but they can be compressed into less than one day. Gardening is a skill that can be learned by Teens and older. Children cannot Garden, although they can get a head start on a couple of skill levels through other activities, such as Scouting (requires Generations). The skill can be learned by taking a class at the Science Facility, reading a Gardening skill book, or just doing the skill by tending some plants. The Gardening skill book comes in three volumes. Completely reading Volume 1 will get you to Level 3; Volume 2 will get you to Level 6, and Volume 3 will get you all of the way to 10. Like other skill books, you’re looking at a few solid days of reading, even with the “Bookworm” trait, to get through all three. 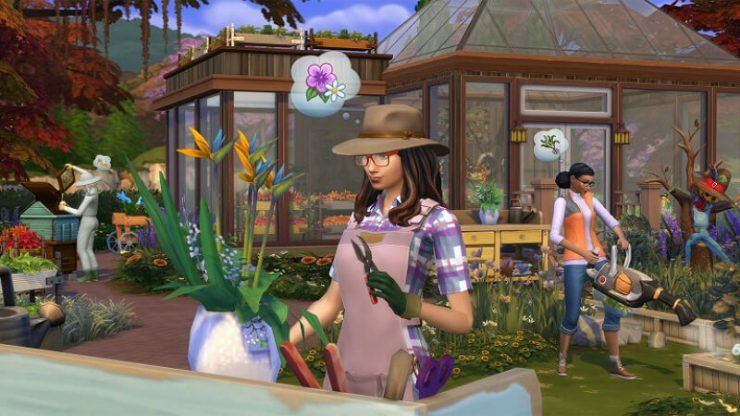 The “Green Thumb” trait gives Sims a boost with learning the skill and doing gardening tasks. 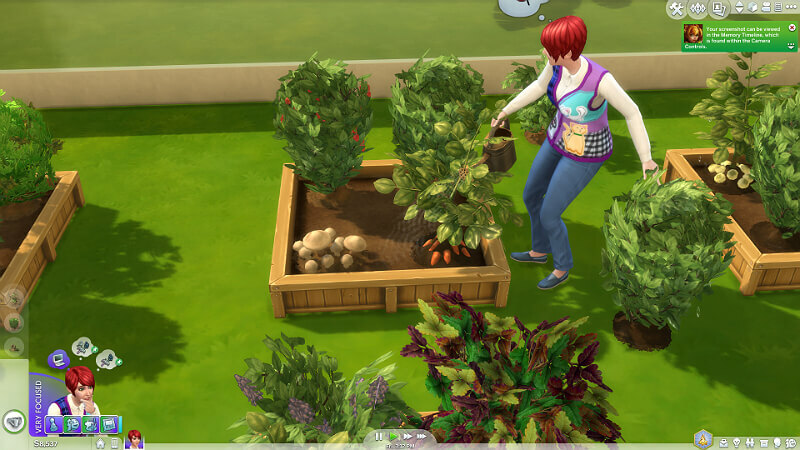 Additionally, the Green Thumb trait lets Sims talk to their plants, which fills their Social need and can increase the quality level of the harvest. Tending to a garden is perhaps the slowest way of advancing the skill. 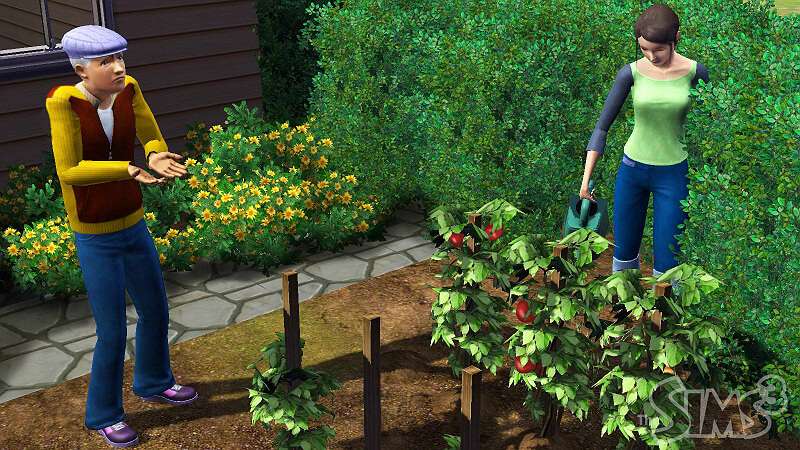 With the Green Thumb trait, it will take about two game weeks with a moderate to large garden to reach Level 10. This can be done with any harvestable plant, so the more plants you have, the faster your skill will develop. But even tending to that single tomato vine next to the back door will do the job; just over a very long time and a few replantings. 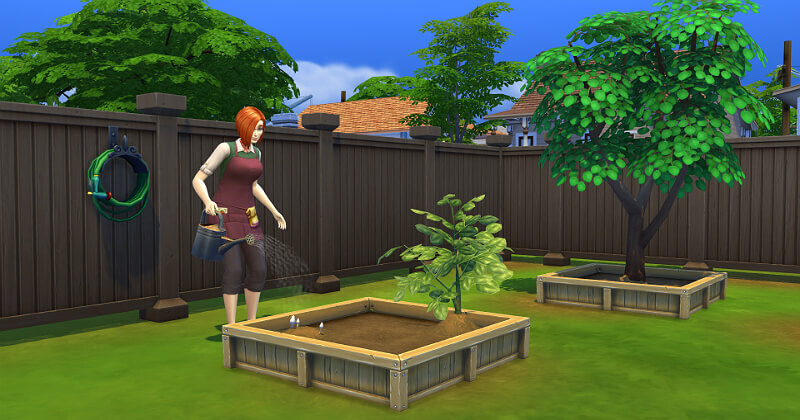 As your Sim becomes more skilled in Gardening, additional interactions become available. 10: Can plant Omni plants (requires completion of an Opportunity) and you get a Certificate of Mastery, already framed, for hanging on your wall. While you can tend plants and harvest on any lot you can access, you can only plant seeds on lots that you control. So, yeah, while it might be out-of-bounds to go raiding your neighbor’s garden in real life, it’s perfectly OK for Sims. Master Planter: must plant 19 different types of plants. It doesn’t matter which ones, just that you planted 19 different ones. So 20 tomato plants are only going to count as one plant. Once the challenge is completed, your plants will stay weeded longer. Botanical Boss: must harvest 75 Perfect specimens (more on quality later). Once the challenge is completed, your plants will not die off from neglect as easily. Master Farmer: harvest 650 specimens. Once completed, plants will stay watered and fertilized longer. Greener Gardens (25,000 Lifetime Reward points): Reach Level 10 in the Gardening Skill and use Bloom 100 times (Bloom is a Fairy power, requiring Supernatural). The Perfect Garden (32,500 Lifetime Reward points): Grow eight different kinds of Perfect plants. Alchemy Artisan (40,000 Lifetime Rewards points): Reach Level 10 in the Alchemy skill and use 50 Elixirs. Since Alchemy is introduced in Supernatural, you kind of have to have it to even have this wish become available. All of the Elixir recipes require plant ingredients, so growing your own can be a cheap alternative to hoping that what you need shows up at the Alchemy consignment store. Become a Creature-Robot Cross Breeder (29,000 Lifetime Reward points): Reach Level 9 of the Science career track. The Science career track uses Fishing, Gardening, and Handiness to advance. Bottomless Nectar Cellar (30,000 Lifetime Reward Points): Have at least 50 bottles in your nectar cellar, which must have at least a value ot 50,000 Simoleons. Nectar-Making was introduced with World Adventures. Growing your own grapes and other fruits is handy for making nectar since you just can’t count on the neighbors to be growing what you need. Celebrated Five-Star Chef (30,000 Lifetime Reward Points): Reach Level 10 in the Culinary career track. There are a few opportunities that show up in this career track that require using Perfect ingredients, which you can only get by growing them yourself. This one is short and simple: you need Ambitions. Gardening is only available as a self-employed career, and self-employment requires Ambitions. This does not mean that you can’t make a living off of gardening, because you can. Just plant, tend, harvest, and sell your produce at the Supermarket or at a Consignment Store. The more you harvest and the better the quality, the more money you will make. Who cares if your Career says, “Unemployed”? For the self-employment track, you need to register at City Hall as being self-employed. After that, you’ll get promoted based upon how much produce you sell. Emphasize “sell”; harvesting stuff from the neighbors’ gardens, from the community garden, or from wild plants is perfectly fine and the sales count toward your promotion. * Gotta love homophones. One sews clothes, but sows seeds. That’s a total of 116,605 Simoleons worth of produce, so plan on a large garden with plants that produce valuable harvests. Money Trees do not, unfortunately, count toward this total, but just about any combination of harvestable plants will work. It really comes down to how much time and effort you are willing to put in to the mix. Plants, like the stuff they produce, have a quality attribute. Most seeds you find, produce you buy at the supermarket, stuff you scavenge from neighbor’s gardens or find in the wild, etc., will be “Normal” quality. This means that everything about that plant is going to work at base values, unless you do something to change it. If you take care of a Normal quality plant (feed and water it, keep it weeded, etc. ), its produce will be better than the parent plant. That produce can then be planted, tended, watered, weeded, etc., and it will produce better quality harvest than the parent plant. And so forth. The “Super Green Thumb” Lifetime Reward will improve quality by one category two times per plant: once at planting and again at harvest. You buy Normal, but plant Nice and harvest Very Nice, for example. Well worth the points for serious gardeners. A plant goes through about five life stages: seed, sprout, growing, mature, and harvest. Each of these stages is usually subject to improvement, both in quality and growing time through the use of fertilizers. One caution on the benefits of fertilizers. 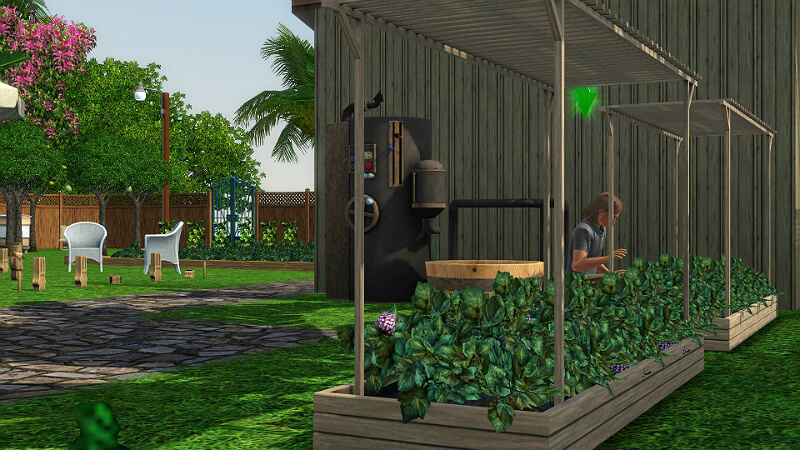 If you’ve ever wondered why your game stutters and lags at about 5:00 a.m., it’s because the game is checking and updating every harvestable plant in the neighborhood. Since none of the plant stages can be skipped and the game only updates once per day, none of the plants that go from seed to harvest in four days will benefit from being fertilized, except when it’s time to harvest. Aside from that, you can typically improve a plant’s quality and shorten its growing time during the sprout and growing stages and you can improve the quality of its produce during maturity and harvest stages. Garlic is the best fertilizer that is commonly available. It is Excellent quality when purchased from the supermarket, but can be raised to Outstanding or Perfect by a Level 7 or higher Gardening skill (because it’s Rare). Life Fruit is an Outstanding fertilizer, even at Normal quality, but it can be a bit hard to come by without doing a lot of scavenging for seeds. As pointed out by Sir Error in the Comments section, Plumbots with a RoboBotany Gardener trait chip (Into the Future required) fertilize at Outstanding quality and will autonomously tend the garden. So here is the process of improving some plants from Normal to Perfect. I’ll be using Common plants since you can work with them at zero Gardening skill. Day 1: check the Community Garden to see if anything can be harvested. You’re looking for Tomato, Lettuce, or an Apple tree. There might be others, depending on the Expansion Packs you have installed, but we’ll stick with the vanilla stuff. Grapes always take eight days to harvest, regardless of the variety, so I seldom bother with them until much later in the game. You can tend to the Community Garden if you want (about all you can do is water) and, if you’re lucky, you’ll pop Level 1 in the process and get some free seeds. If you aren’t lucky, get whatever you couldn’t find at the Community Garden from the supermarket. Remember that tending more plants will develop your skill faster, but you don’t want to be spending the whole day in the garden, so don’t go overboard. Go home and plant them (a fenced-in area is recommended if you have Supernatural – you don’t want zombies chomping on your garden). Day 2: tend to your plants. They should all be showing as Sprout. Until you reach Level 2, all you can do is water them. Day 3: tend to your plants. You might also be able to weed the garden. Your plants should be showing as Growing and are probably Nice quality by now. Day 4: tend to your garden. Your plants should be showing as Mature. Once you hit Level 3, go to the supermarket and buy one Garlic for each of the plants. Come back to the garden and select “Fertilize Garden with Best Fertilizers”. The Garlic should last for five or six days, so you’ll get several improved harvests off of the initial plants. 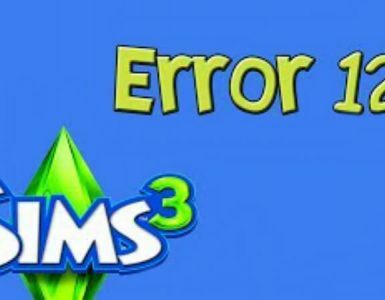 This is also the point at which Sims with Green Thumb should be talking to their plants as it will improve the quality of the harvest by one level. Day 5: tend to your garden. Your plants should now be at the Harvest stage. Where you started with a Normal plant, you should now have Very Nice or possibly Excellent produce. These plants will not improve any farther, so you can either tend to them until they become Barren, which will help improve your Gardening skill and get you some more produce to sell over the next few days, or you can dispose of them. Now, plant the best of your harvest. It probably won’t all be of the same quality (you’ll have some Nice and Very Nice and maybe one or two Excellents), but that’s fine. Plant the best and sell the rest. Day 6: tend to your garden. Your new plants should be at Sprout and you can harvest from the first batch. Your original plants should still be showing Excellent fertilizer. You can sell your harvest at the supermarket or put it up on consignment. Day 7: tend to your garden. Your new plants should be at Growing and you’ll have some more goodies from the original batch. Your first batch should still be showing Excellent fertilizer. Sell or consign your harvest. Buy one Garlic for each of the plants in the second batch. Day 8: tend to your garden. Your new plants should be at Mature and you’ll have some more harvest from the first batch. The first batch should still be showing Excellent fertilizer, but it’s time to fertilize the second batch. Green thumbs should talk to the new plants. Sell or consign your harvest. Day 9: tend to your garden. Your new plants should be at the Harvest stage and you’ll still be able to harvest from your first batch. The fertilizer on the first batch should be wearing off today or tomorrow. It’s your call on whether to replace it, but you’ll likely spend more than you’ll earn, so I don’t bother. Your harvest from the new plants should be at Excellent or Outstanding with a chance for a couple of Perfects in there somewhere. This is the point where I will typically dispose of the first batch of plants. I’ve earned the most that I could and since the fertilizer has worn off, they generate less money. Plant the best of the harvest from the new plants and sell or consign the rest of it. Day 10: tend to your garden. The third batch of plants should be at Sprout and your second batch will still be producing. Plant, sell or consign as the mood strikes you. Day 11: tend to your garden. The third batch should be at Growing, the second batch will still be producing, and the first batch (if you didn’t dispose of it) will be about halfway to the end of its life (going Barren). Plant, sell or consign, as you wish. Pick up some Garlic for the third batch of plants. Day 12: tend to your garden. The third batch should be at Mature, so some fertilizing is in order. If your first batch is still around, you’ll need to specify individual plants to fertilize or you’ll end up wasting your Garlic. If your Garlic is in a stack, you’ll need to work with the plants one at a time. If you split the stack, though, you can queue up the “Fertilize with…” command. Talk to your new plants and call it a day. Day 13: tend to your garden. The produce from the third batch of plants should now be Perfect if the parent plants weren’t, so “plant the best and sell the rest” still applies. Your Gardening skill should be at least Level 5, so you can start repeating the process for some Uncommon plants. For plants with longer seed-to-harvest times, you can shave off some days by fertilizing from the time you plant, but you’ll likely need to fertilize each plant twice as the fertilizer will wear off before harvest. The nice thing about Common plants is that you can work with them when you have zero Gardening skill. The bad thing about Common plants is that they won’t make you much money unless you have some Expansion Packs installed. The Red Berry Bean from University Life is the best Common plant to work with if your aim is to make money. At Perfect quality, the beans will earn you 220 Simoleons each (usually more if you try to sell them on consignment) and at 20 beans per plant, that’s a minimum of 4,400 Simoleons. Having traits like Green Thumb and Gatherer, Lifetime Rewards like Super Green Thumb, and having high Gardening and Science skills will only increase that amount. Here is about the most comprehensive list of Common plants I can make. 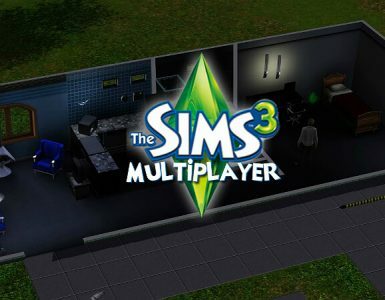 There are probably a few more out there (I don’t have Pets, Seasons, any Stuff Packs, or any Premium Store content, for example), but I’ve indicated which expansions are required for the ones that I have. To calculate the value of the harvest from any given plant, just take the base value, times any quality modifier, times the amount produced. For example, an Outstanding tomato plant would yield about 270 Simoleons ((3 * 300%) * 30) before the plant goes to Barren and would need to be replaced. A note on using herbs from University Life. 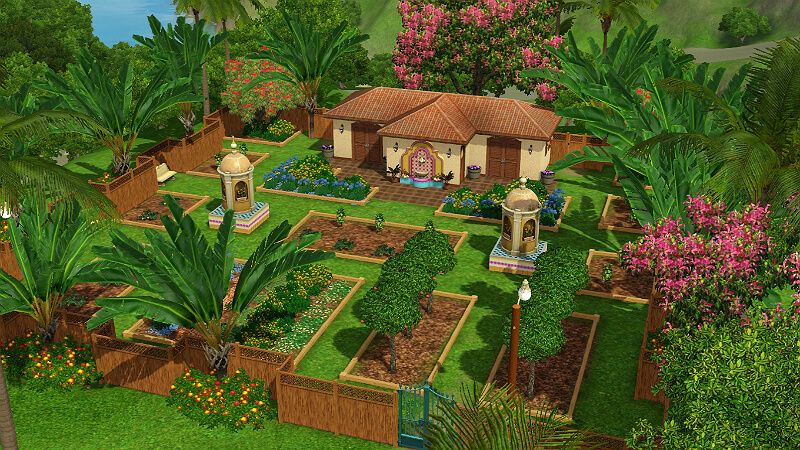 Eating herbs decreases hunger, so eating them on a full stomach usually results in a “Nauseous” moodlet. Uncommon plants include a lot of grape varieties from the World Adventures Expansion Pack. Because they all take eight days to mature, I generally don’t mess with them unless I’m into making Nectar. You must have Level 5 Gardening to be able to plant Uncommon plants. Even the top earners on this list (Mycenas and Spotlight Mushrooms) are only a bit more than half of the value of the coffee beans from the Common List. If you’re looking to make money from your produce, there’s nothing here that will help you very much. On the other hand, if you’re looking for herbs or ingredients for your recipes, you’ve got a goodly selection to choose from, but Expansion Packs are required. A note on the herbs from University Life. They all satisfy Hunger, so eating them on a full stomach will usually result in a Nauseous moodlet of some kind. Truffles is the best money maker on a per-plant basis, while Glow Orbs are the best on a per-harvest basis. Both require Supernatural and will require a bit of luck with the seed spawners and some diligent scavenging to find some. Anyone who is doing Gardening seriously should set aside a small section for Garlic as a fertilizer. Special plants are, well, special. They don’t follow the same rules as the rest. A Death Flower, for example, will only produce one flower under normal conditions and it can’t be sold. Omni Plants will produce whatever you use for fertilizer (including books). 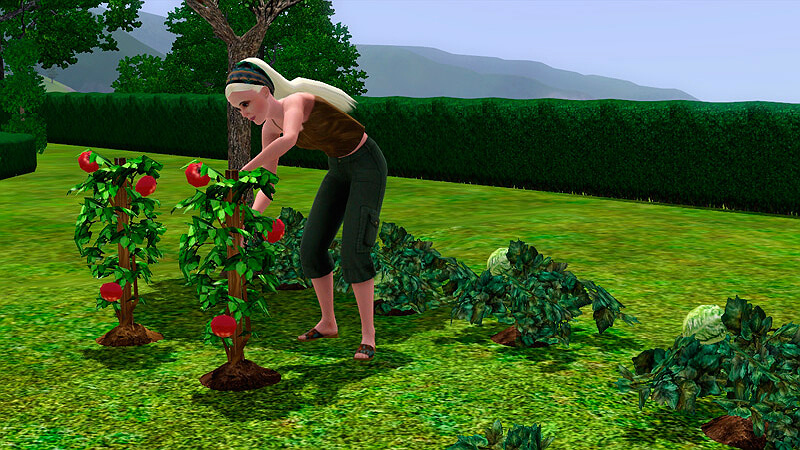 The Forbidden Fruit has a chance of harvesting a PlantSim (or turning a Sim into one). Most of the rest require you to complete special opportunities. Money Trees are the Gardener’s best friend, Simoleon-wise. While they are not immortal, it will take a few Sim generations before one dies of old age. As long as they are well-tended, they will increase in quality until they reach Perfect, which is when they drop their seed (Normal quality). If neglected to the point of dying, Money Trees will explode and drop bills that must be paid. The money bags produced by Money Trees do not count as sales for your Gardener career, but they certainly go a long way toward padding the bank account. A quick note on Omni Plants is in order. Once you complete the challenge, you will get an Omni seed in your inventory and can order more by clicking on your mailbox. They will pretty much produce whatever you feed them. So if you feed them that 2,000 Simoleon skill book, that’s what that plant will produce. They will not produce recipes (sorry, no 12,000-Simoleons-a-pop Ambrosia recipe plants), comic books, and stuff like that. Probably the best use for them is to feed them the most expensive skill book you can get (that would be a Volume 3) and just sell the harvest to the bookstore. As I hope I’ve shown, Gardening is neither complicated nor exceptionally time-consuming. It can be fun and profitable whether done as a full-blown career or just as a side activity. It stands well on its own and as an adjunct to other activities, such as Cooking, Alchemy (Supernatural), Nectar-Making (World Adventures), or even normal daily activities (University Life). It is well worth the effort to raise the skill at least to Level 7, so you can deal with Rare and Special plants. My test Sim for this guide started at zero in all skills. Within two weeks she had reached Level 10 in Gardening, and had a household funds balance of over 60,000 and two Money Trees producing within three. She still had plenty of time for socialization, shooting pool, skinny dipping, fixing broken appliances and the other activities that go with the game and never had to worry about dragging herself out of bed at 6:00 a.m. in order to get to work on time.